The extreme lateral supracerebellar infratentorial (ELSI) approach was initially proposed to treat lesions of the posterolateral surface of the pons principally cavernomas. The versatility of the approach allowed its use for other pathologies like gliomas, aneurysms, epidermoids, and meningiomas. 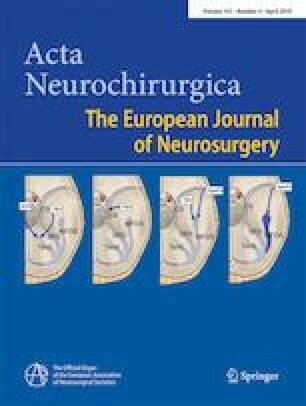 We describe here the ELSI approach along with its advantages and limits in comparison with other surgical approaches for the treatment of meningiomas of the petroclival region. ELSI is a versatile approach that allows access to the anterolateral brainstem surface including extensions to the midbrain diencephalic junction when needed. ELSI compares favorably to other surgical alternatives with respect to the approach-related morbidity, while allowing adequate access to treat the pathology. The online version of this article ( https://doi.org/10.1007/s00701-019-03886-5) contains supplementary material, which is available to authorized users. The patient/next of kin/guardian has consented to the submission of this “How I Do It” to the journal. 1. ELSI is a versatile approach that can be used to resect lesions within the posterior and middle tentorial incisura. 3. Compared with the subtemporal approach, ELSI avoids the need for temporal lobe retraction and possible venous complications. 4. Compared with retrosigmoid approach, ELSI reduces the manipulation of VII/VIII cranial nerves. 5. A careful analysis of the anatomy of the transverse and sigmoid sinuses, and pneumatization of the mastoid bone is important for a safe craniotomy. 6. Surgery in a park-bench position reduces the incidence of air embolism that is associated with the semi-sitting position. 7. Opening of the lateral cerebellomedullary cistern allows early relaxation of the cerebellum. 8. Dissection of the external surface of the tumor should only be attempted after adequate internal debulking. 9. A tentorial incision is only performed if the visualization of the superior part of the tumor is limited. 10. Tumor remnants left in place due to critical adherence to neurovascular structures can be later treated with radiosurgery.